Kaivan has been representing tenants against landlords, borrowers against lenders, consumers against businesses, and employees against employers for the entirety of his tenured career as owner and managing attorney of the Harouni Law Group. His passion lies in helping the underdog and achieving justice for those who cannot readily afford it. Kaivan has been designated a Rising Star by Super Lawyers magazine and has a 10/10 rating on Avvo.com based on over 30 reviews. His firm, the Harouni Law Group, has 5/5 stars on Yelp.com and on Google.com. Kaivan obtained a Bachelor’s Degree in Political Science from University of California, Los Angeles, and a Juris Doctorate from Whittier Law School in Orange County. He is licensed to practice, and in fact regularly practices, law in all state courts throughout California, the Central, Northern, Southern, and Eastern Districts of the United States District Court of California, and the Ninth Circuit Court of Appeals. He is also a member of the Consumer Attorneys Association of Los Angeles, Consumer Attorneys of California, American Bar Association, Los Angeles County Bar Association, and Beverly Hills Bar Association. The staff at the Harouni Law Group consists of attorneys from top law schools, many of which have held prestigious externships with judges throughout California, won or placed in statewide or nationwide moot court competitions, excelled in team sports, held various leadership positions in their law schools, and held different positions in their law school journals’ editorial boards. Most importantly, the common denominator underlying the careers of all of those that work at the Harouni Law Group is passion to help the underdog. We understand that our clients may not know their rights, may have lots of questions, and may be scared of the legal system. That is we hold their hands throughout the process, treat them with the dignity they deserve, answer their questions, and fight zealously for their rights. 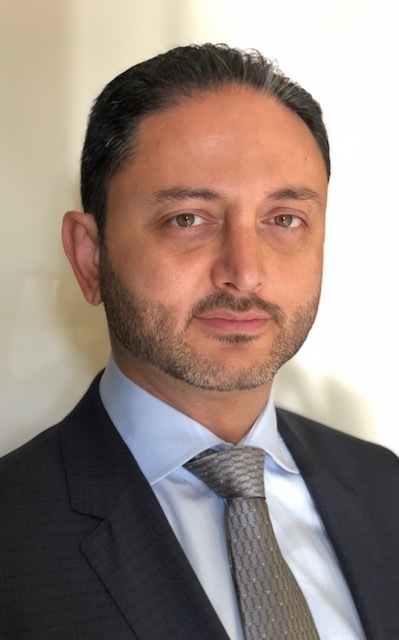 I Consulted with Mr Kaivan Harouni about an Employment Law Case, He gives you expert advice on the spot, very professional when a client is in a distress situation. Knows all aspects about law i would recommend anyone to contact the office if you have any labor law issues with your employer. I was going through foreclosure on my property and previous lawyer couldn’t help me. Mr. Harouni took my case and helped me with TRO and got me a loan modification. He was always keeping me posted even after business hours. I can say that he really wanted to help me save my home. I will always be thankful and recommend him to anyone. I came to Kaivon Harouni by way of his broad expertise in Litigation, Contract Breaches, and Real Estate Law along with recognizing Fraud by Companies and Individuals. He works hard to maintain the trust and personalized attention that I have come to expect. The strong negotiation skills serves clients in many types of transactional and litigation matters. Mr Harouni is great at what he does. He initiated litigation against a major bank and was able to have them agree to a short sale for one of our clients in critical need of help. Their comprehensive litigation plan was able to save our clients home from foreclosure.